ArtNr. : 32260226672. Kategorie: Flöte. 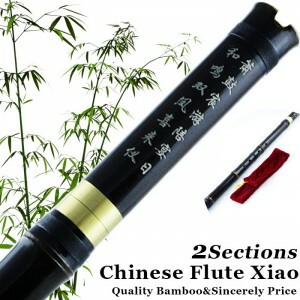 Schlüsselwort: Bamboo Flute. Material: Natural 5 years purple bamboo , Dry naturally over 3 years. 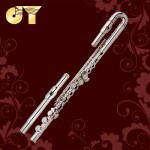 Characteristics: 2 sections of the flute with white copper joints, easy for carrying. You should link them together first before playing. Type: Mordern 6/8 finger holes xiao. 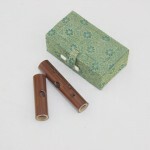 Free Accessories: one flute leather punch and one Chinese knot. Note: the mutiple quantity of xiaos in the below pictures is only for aesthetic perception, what you will get is one piece. All products (including shipping free items) in our shop will be delivered through the China Post unless you tell us your customized requirements on delivery in advance and are willing to bear the possible extra cost. 2. 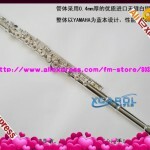 Sometimes the delivery may take up to 4-7 weeks due to strict inspection during customs clearance..
4. The delivery cost does not include any import taxes, and buyers are responsible for customs duties. Note: To minimize your taxes we will declare the items you choose in our shop as "gift" or "sample" with low value when declaring customs. 1. Please take a minute to leave us a positive feedback with 5 stars and give us your comments, if you are satisfied with the items and our service. We will be very grateful for that and be glad do the same for you. 2. Please do not hesitate to contact us to get a better solution before you leave a neutral or negative feedback. 1. For any reason, if you are not satisfied with the items, we accept returns and exchanges within 7 days after you received your item and you are supposed to bear the return shipping cost. Your return request will be processed ASAP. 2. If defection is found on the items you received, please contact us immediately for replacement or repairing. If replacement is not available, then we’ll refund your payment with the original payment method.